Welcome to the New ActivStars Youth Programs Website! We’ve got a fresh look for the same amazing classes and youth programs. 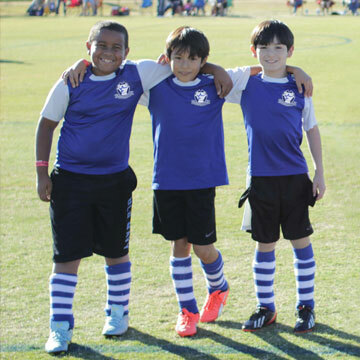 Whether your children are long-time stars or you’re looking for the best after-school and weekend activities, you’ve come to the right place to learn a little more about our youth sports. So, join us for a quick tour and to learn a little more about who we are here at ActivStars and why it’s our mission to develop life skills for today’s active youth. It’s been our family’s passion for more than 60 years, and we’d be glad to welcome you and your star to our family. To celebrate the Spring Semester, our new website has gone live. Most things are in the same place or can be easily found using the top navigation bar. We’re prioritizing the information parents and children tell us they need, plus making it easy to find out what’s happening in your area and which coaches are involved. Here are a few of the most useful pages for our stars and their parents. Our 3 Main Sports pages with links to help you find a class, register, get the gear, meet the instructors, and much more! Our newsletter and community information can be found on this page to help you see what’s new and what your child can expect later this semester: Sign up for the ActivStars Newsletter. Get the youth sports gear your child needs and browse promotional items and packages with the ActivStars Store Page. Have you got questions? Check out our class policies to find out more or contact us with concerns unique to your situation. Those are the highlights, but there’s plenty more to discover! At ActivStars, we believe that the best after-school program is one that teaches, through kids sports, lessons and healthy habits that can be used in the classroom and in life too. That commitment drives everything we do. And because of that same commitment for 60 years, we’ve become the leading US provider of affordable youth sports programs for all families with children ages 4-17. Central to our teaching and coaching is involvement in our local communities. That’s why all of our instructors and coaches are hired locally within the community. Though, they still need to meet rigorous training and background checks to ensure we keep your star safe. From youth soccer and karate to cheerleading and more, we have a solid educational plan to help your child grow safe and strong. Our commitment to safe, enjoyable, and smart education begins in the 1950s when our founder and family matriarch, Bonnie Hood, began teaching sports for kids in her community. Her passion extended to her children and family, eventually forming ActivStars to provide youth sports programs. We’ve blossomed into one of the more extensive programs available with high-quality instruction for youth soccer, youth cheerleading, youth karate, and other sports. Today, we’re offering sports programs in more than 5 states for more than 20,000 families. It’s sports for life and life through sports!